MANILA, Philippines — The Samahang Basketbol ng Pilipinas (SBP) is thinking of another way to make it back to the Summer Olympics: through the 3x3 competition. In the 2020 Tokyo Olympics, 3x3 basketball will make a debut, and the SBP wants to be in the picture. The SBP has tried for at least the past decade to qualify a 5-on-5 team to the Olympics, where the Philippines had not fielded a team in 47 years. Al Panlilio, the SBP president, sees an opening. “Mr. Panlilio wants to focus on 3x3 now that it’s an Olympic medal sport. We want to beat 5-on-5 in that race,” SBP executive director Sonny Barrios said. The SBP has appointed Ronnie Magsanoc as head of the national 3x3 program. Barrios said the SBP last week met with eight of the 16 SBP regional directors to discuss the program. “We’re far behind in the world of 3x3. And it’s an entirely different world when it comes to eligibility,” said Barrios. The former PBA commissioner drooled over Mongolia, a country of just over three million and FIBA member of only 18 years. Mongolia focused its limited resources on its 3x3 program, and had seen great results the past years. Mongolia is ranked No. 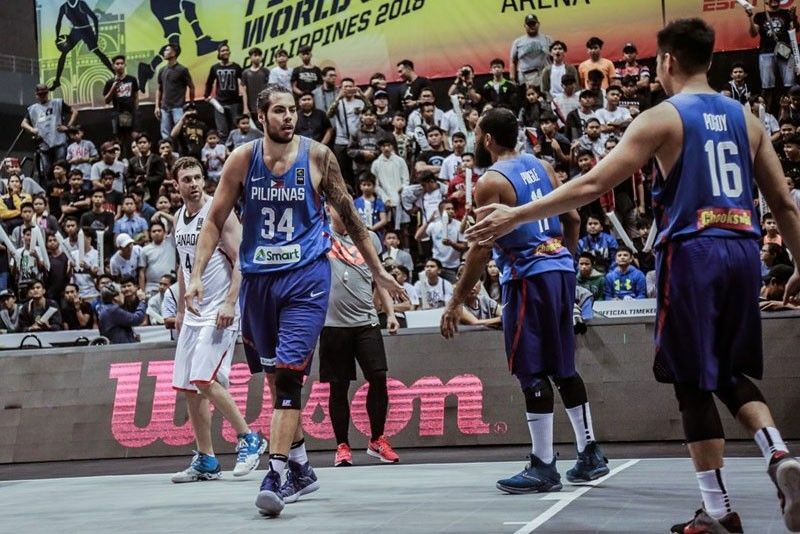 7 by FIBA in the men’s division compared to the Philippines, a FIBA member since 1936, which sits at No. 59. In the women’s side, Mongolia has a FIBA ranking of No. 2 behind China, and the Philippines at No. 47. In men’s U23, Mongolia is No. 2 behind Russia, and the Phl No. 43. In the women’s U23, Mongolia is No. 2 again behind China, and the Philippines No. 38. It’s almost the same story in the U18. “Mongolia, one of the small countries, concentrated on 3x3 where fielding team to international competitions entails far less expenses than a 5-on-5 team,” said Barrios. “We are being told to dedicate a team for 3x3 competitions. It looks easier. It’s a smaller team with lesser requirements,” said Barrios, adding that if Phl doesnt qualify for Tokyo 2020, it could continue the program for the 2024 Paris Olympics. In 3x3, any player with a Philippine passport will have very few other requirements to be able to play. “And theoretically, you can have Christian Standhardinger, Stanley Pringle, Jordan Clarkson and Andray Blatche for 3x3 when that will never happen in 5-on-5,” said Barrios.